It was a super gloomy day this past Saturday here in Philly. UGH! My plans were shot because of it! But whatever! And After 2-3 consecutive days of 90 degree weather (alittle taste of summer I was loving! ), the temp became seasonably cool indecisive then dropped again. So you could imagine my thought process when it came to thinking of what to wear. 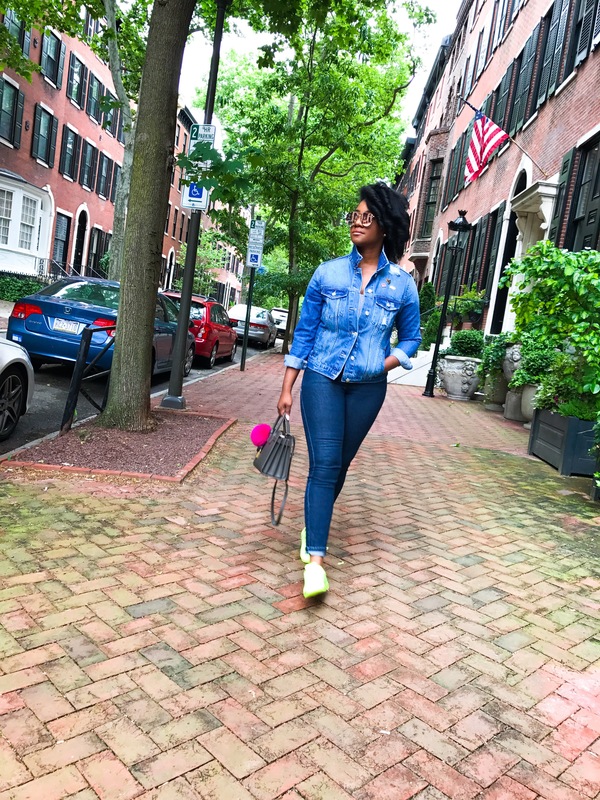 So I played it safe and chose to keep it simple with ‘denim on denim’ while adding a fun touch of color. 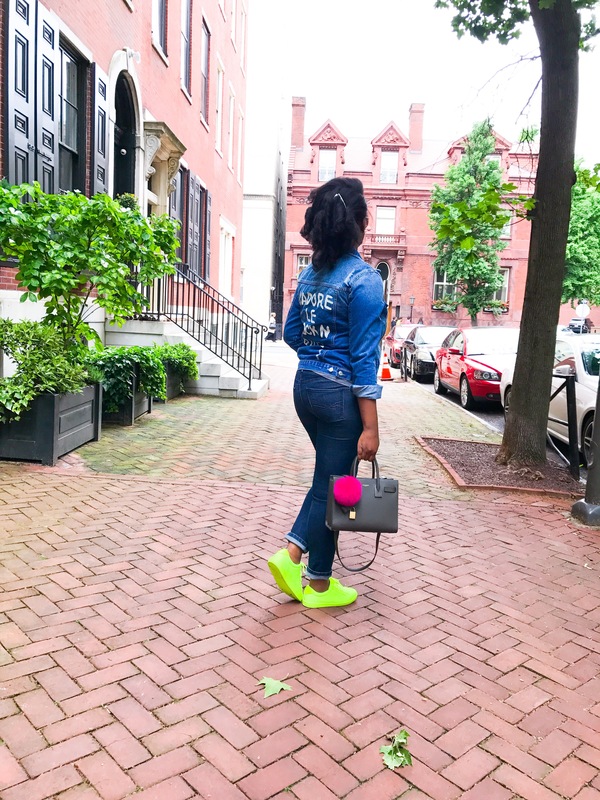 I unveiled my ZARA neon sneakers! They’re a recent purchase and I’m so happy I have them! They’re so freakin’ comfy too- BONUS! You can walk forever in them. The fabric is breathable and cushioned. All for $39$! BASIC STEAL!! 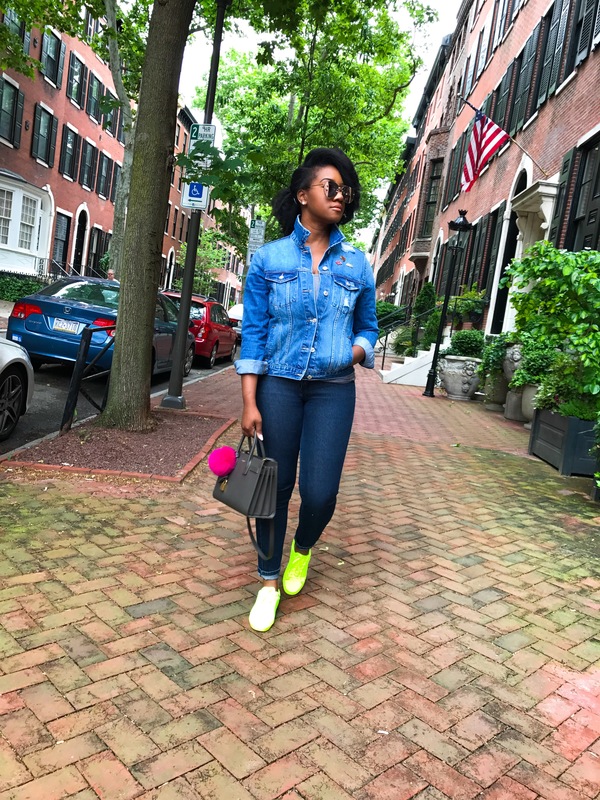 TIP: ‘Denim on Denim’ is essentially a monotone palette so you’ll need to break it up with a fun color or accessory piece. 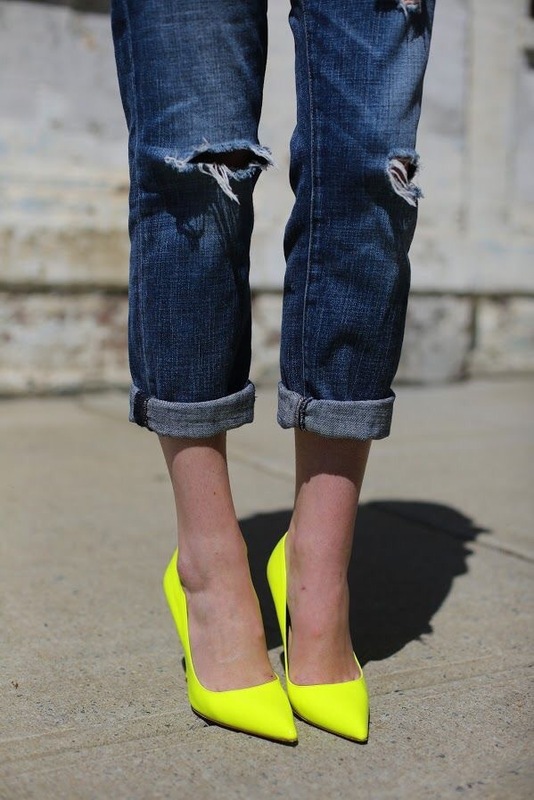 Neon additions can also become the focal point of your (what maybe an otherwise boring) ensemble. 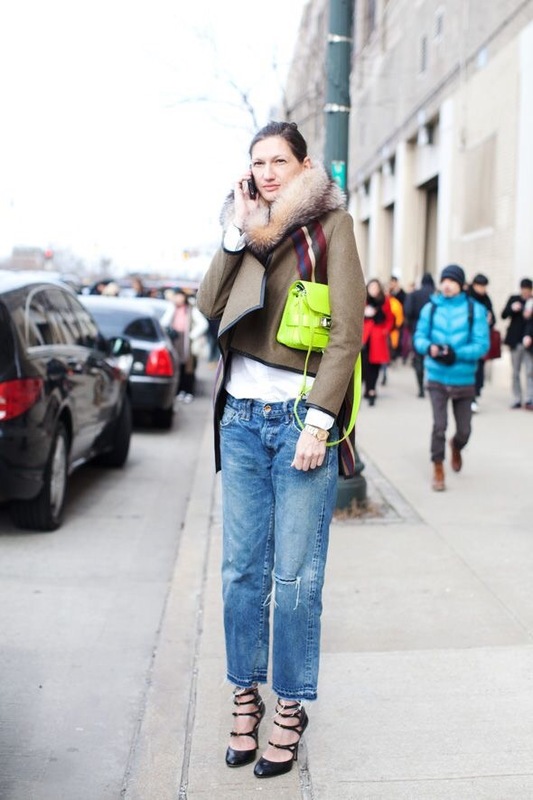 So for me, these sneakers added such a fun twist to an otherwise simple outfit. This denim jacket is a few months old from Forever21 which I grabbed on sale. I loved the painted lettering ‘J’adore Le Rock N Roll‘ for the edginess. I’m looking forward to really wearing these babies (when it finally decides to become summer) with a few cute sundresses or denim cutoffs, paired w/ a plain tee for a relaxed look. They’re still available at Zara!! I agree! Neon makes it “POP”!!! Great post!